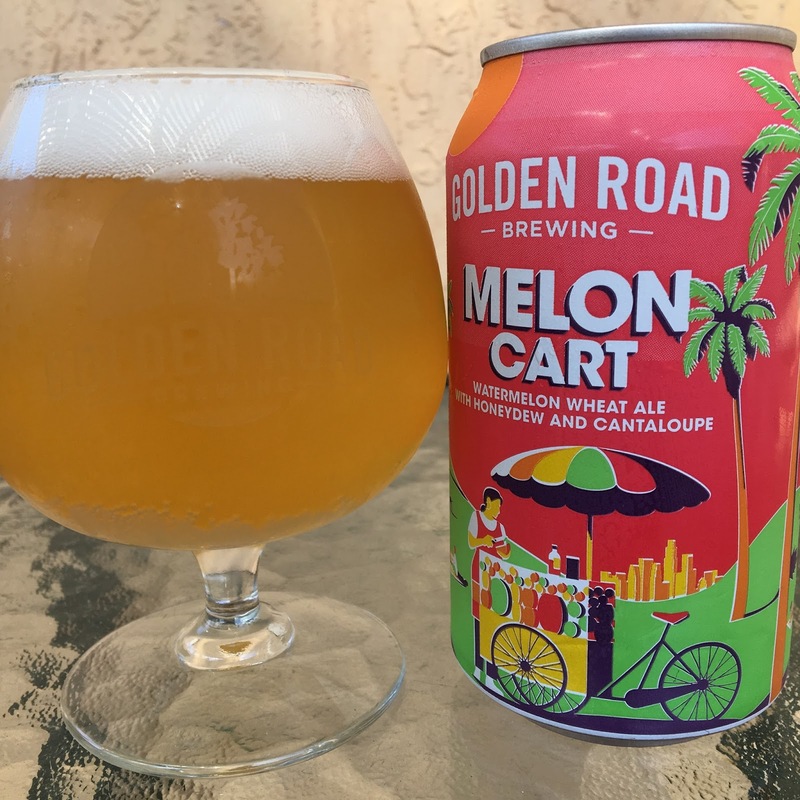 Golden Road has a new beer in their series inspired by Los Angeles' fruit cart vendors: Melon Cart Watermelon Wheat Ale. This is a wheat ale brewed with watermelon, honeydew and cantaloupe. PKG 9/22/2017. Sweet cantaloupe and banana aroma with hints lemon. Tart flavor backdrop but pretty tame for sure. Melon flavors are VERY distinguishable, but I wouldn't say watermelon is even a player, especially calling it a watermelon wheat ale. That said, super ripe honeydew and cantaloupe are easily identified, and again, I can't help to say bananas out loud. Three ripe, sweet fruits are dominant. Good flavor, super interesting, definitely delivered on the fruit part. Melons were the superheros here but not convinced this works in a beer. The other beer I had in this series was supposed to be tart, and though I felt a little of that in the beginning, I started questioning myself if the "tart" part is even part of the series. Anyway, pretty sweet all around. VERY FRUITY though, promise delivered.